Artists Alliance Inc. (AAI) is an artist and curator-centered 501c3 non-profit organization committed to supporting emerging and underrepresented contemporary artists. Through innovative programming, experimentation and collaboration, AAI serves as a resource and forum to engage the community of the Lower East Side. Cuchifritos Gallery + Project Space offers exhibition opportunities to hundreds of emerging underrepresented artists and independent curators. Its location inside the Essex Street Market offers an accessibility to artists to directly engage with the local community about contemporary art. Through an annual open call, we seek exhibitions featuring the work of emerging and underrepresented contemporary artists and the curators who seek to exhibit these artistsʼ work in a clear and concise context. In addition, we are particularly interested in exhibits that convey relevance to the local community. 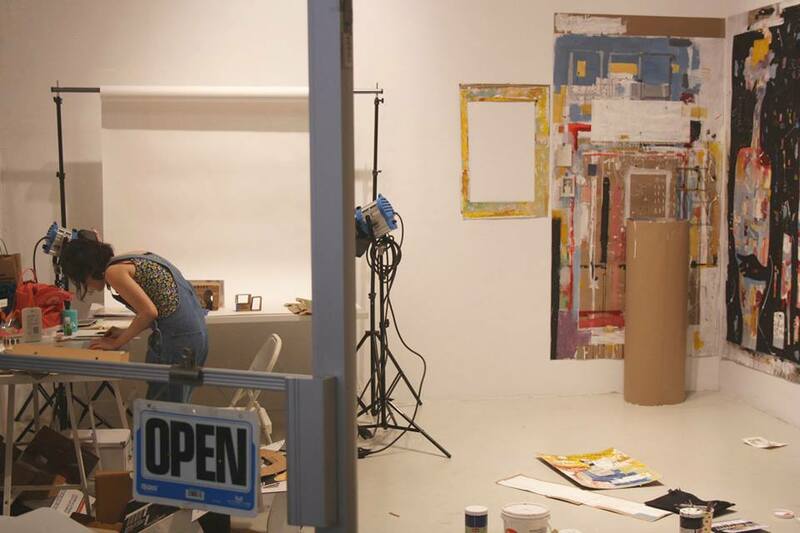 AAI offers the LES Studio Program Residency Program. It is a three or six months residency program open to under-represented, emerging and mid-career professional working artists. Artists of all disciplines are encouraged to apply to be considered for a fully funded studio space to produce new work and use additional resources needed for their creative practice. Through the residency, 24-hour studio access is provided, the opportunity to present work to curators and critics through AAI-organized studio visits, a curated exhibition at Cuchifritos Gallery + Project Space and exposure to a broadened general audience during bi-annual Open Studios. Located within the Clemente Soto Vélez Cultural and Educational Center, residency participants also have the opportunity to engage with other building artists, some new to the neighborhood and others have worked in the LES for several decades. AAI also offers the Embajada 406 Residency. Extending the resources of AAI’s existing LES Studio Program within the Clemente building, this shared initiative includes 6- to 12-month fully-funded studio-based residencies to artists, writers, and curators living in or from Puerto Rico, along with programmatic opportunities, including exhibitions, workshops, lectures, and additional site-responsive activities throughout their stay. To launch this new residency program, AAI and the Clemente are partnering with San Juan-based gallery/project space Embajada. Open Studios are held bi-annually in collaboration with the Clemente Soto Velez Cultural and Educational Center. You can become a volunteer at Cuchifritos Gallery + Project Space helping with monthly artist/curator discussions, visitor engagement, and community outreach. Volunteers develop their knowledge of nonprofit environment along with their own interests. The duration of the volunteer program is three months during which volunteers create their own schedules. To become a Cuchitos volunteer fill out a volunteer inquiry form.